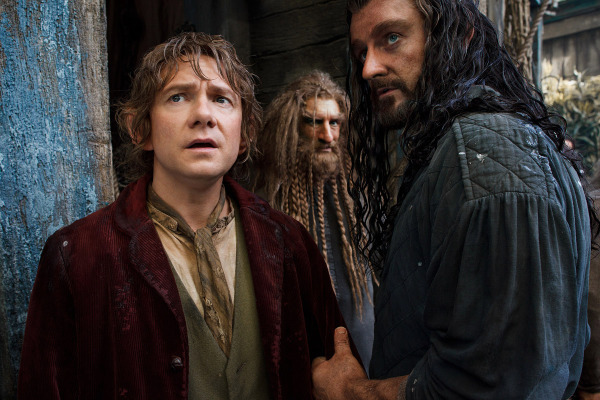 Starring: Martin Freeman (Hot Fuzz), Richard Armitage (The Hobbit: An Unexpected Journey), Ian McKellen (X-Men) and more. Rating: Rated PG-13 for fantasy action and violence and frightening images. 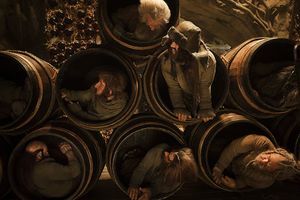 Join a band of misfits once again in this epic journey’s continuation as a Hobbit, a band of ferocious Dwarves and a Wizard traverse multiple arduous miles towards the Lonely Mountain in order to reclaim a heritage lost. J.R.R. Tolkein’s classic book, The Hobbit, as portrayed by Peter Jackson, is continued with this second of three installments that exceeds the mediocre first segment in many ways and leads to expectation of further adventure and excitement. Admittedly not the biggest fan of The Hobbit: An Unexpected Journey (you can read my full review of the first part of the trilogy HERE) which I felt lacked in pacing as it took forever to start the journey in order to fluff the material to stretch across three full-length films, this second one is an improvement to say the least. Jackson, once again…and almost effortlessly now…combines amazing visuals along with adventure, music and great characters in his usual and appreciated manner in this sequel and it all works very well. Craftily, Jackson not only blends adventure and action with a bit of drama, but the amount of comedy mixed in also provides several enjoyable chuckles and laughs in the middle of this darker installment. It did seem to lack a bit in the music, however. With the release of the soundtrack in stores this week and the amount of praise and excitement it received, I expected to be blown away by the soundtrack in the film, but was not. 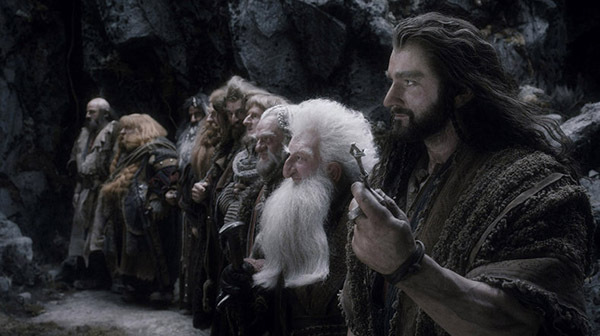 No true memorable song (such as THIS) but at least a few times there are several motifs that come from The Lord of the Rings trilogy allowing for further continuance and connection. Visually, Jackson does not disappoint (I did not see this in 3D and therefore, at this point, cannot make a recommendation on seeing it as such). The funnest part of the film experience for many on a 2nd time viewing will undoubtedly be the end as the film abruptly ceases in classic Jackson/LOTR style right when you want the story to continue. I say “2nd time viewing” because you will already know what to expect but all other viewers in the audience will gasp and groan aloud with disappointment ready for the film to continue for another 3 hours just to see what happened. I laughed myself as everyone around me uttered out comments of shock and disbelief at the realization that 12 more months must transpire prior to seeing what happens next! 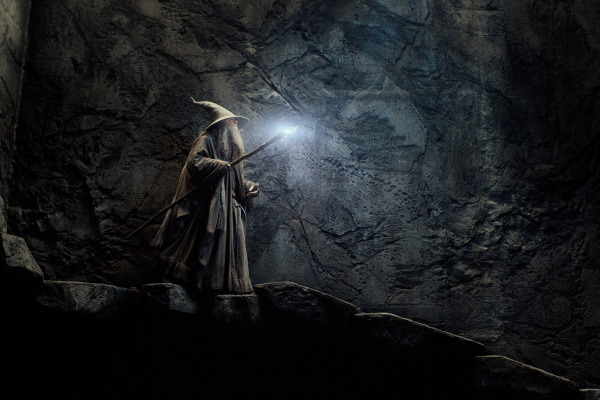 In closing, The Hobbit: The Desolation of Smaug is a familiar, and yet new, solid sequel that may very well end up being the “Empire Strikes Back” of The Hobbit trilogy. Jackson took the criticism from the first it seems and ran with it to create a much more solid springboard for the final chapter to launch from. The stage is set and the battle is at hand. 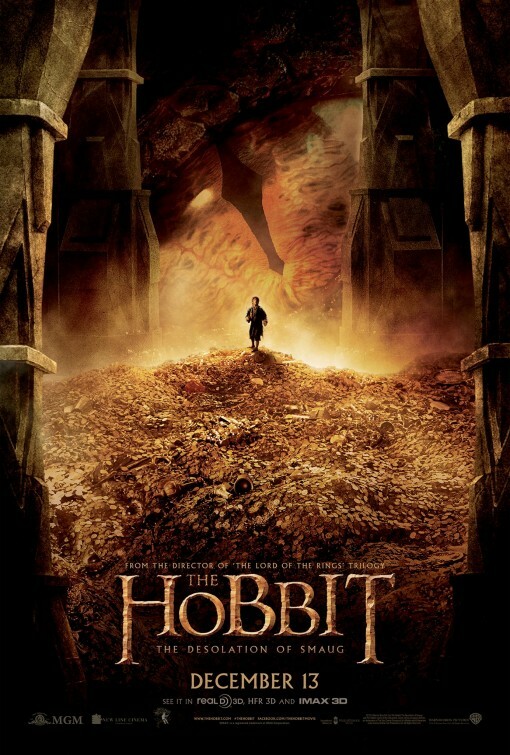 This sequel contains great visuals (Smaug is amazing), fun characters (the dwarfs and Bilbo add comic relief that is not overdone), cohesive storytelling that leads to further plots and great action that pays tribute to Tolkein’s entire legend onscreen on both sides of this adventure (The Hobbit and The Lord of the Rings). It is not without its slower parts and moments that add very little to the overall film. I was not overly-excited to see this one after being disappointed by the first, but now am glad I did and cannot wait to see the final chapter. Nice work, T, well summarised and you make some good points. Looking float to seeing this thing just after Christmas! I thought it’s much better movie than the first, I plan to see it again in HFR. Saw it in IMAX 3D 24fps, you didn’t miss much in 2D, the 3D effects weren’t that impressive compare to the first movie. I’m looking forward to the third movie, it’s going to be really action packed. 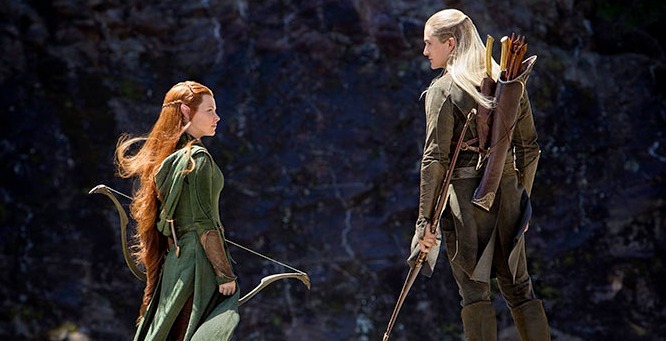 Can’t wait to see the Battle of the Five Armies. Hi T, I just posted my Top 10 fave parts of this movie and we share the same rating! No mention of Thorin though? 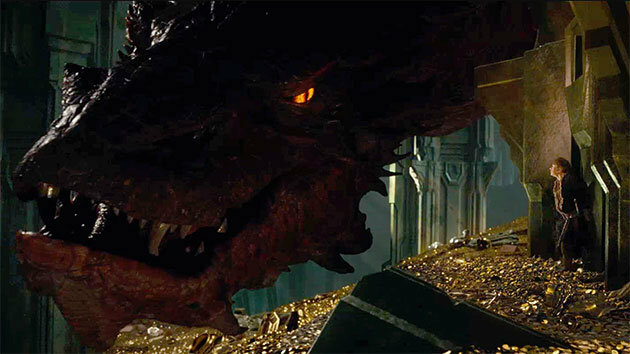 I thought he was great here (and not just ’cause I LOVE Armitage), but yeah, Smaug is the scene-stealer here, LOVE the scenes w/ him and Bilbo!